(JTA) — A First Temple-era stamp that is distinctive both for its age and the fact that it belonged to a woman, was recently discovered in excavations in Jerusalem. 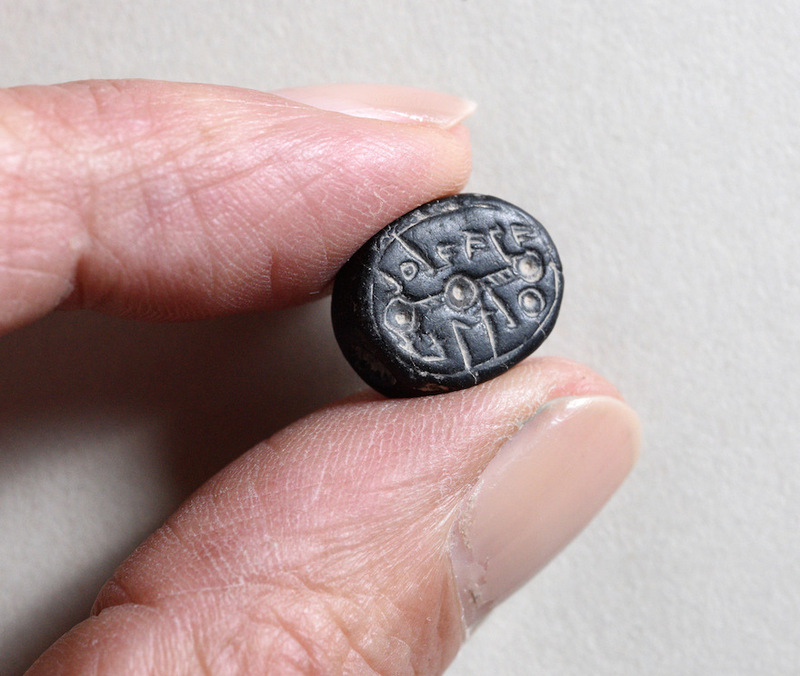 The 2,500-year-old personal seal, made of semi-precious stone and bearing the words in Hebrew “To Elihana bat Gael,” was uncovered at the City of David, the Israel Antiquities Authority announced this week. The stamp was found near one belonging to a man named “Sa‘aryahu ben Shabenyahu” inside a structure, believed to be an ancient administrative center, built of cut stone.